Ellen Bernsley-Jaffe is a New York licensed physical therapist at Professional Physical Therapy. Ellen received her bachelor’s in Physical Therapy at Stony Brook: School of Allied Health. Ellen has been practicing for 34 years and has Interest and Experience in treatment for both male and female patients with pelvic pain as well as neurological conditions. Ellen has certifications in Tai Chi Rehabilitation (TCR). Jason Blum is a New York licensed physical therapist at Professional Physical Therapy. After graduating from Penn State University with a bachelor’s in Biobehavioral Health, Jason went on to receive his doctorate in Physical Therapy at SUNY Stony Brook University. Jason has been practicing for 3 years and specializes in Orthopedic Physical Therapist with experience in post-surgical rehab for orthopedic injuries, focused on patient drive care/goals to improve higher levels of function. Desire to progress high school and collegiate athletes in return to play. 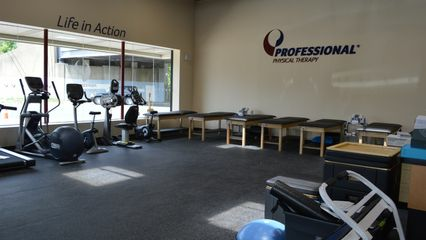 Jason is also a member of the American Physical Therapy Association (APTA). William Partridge is a New York licensed physical therapist at Professional Physical Therapy. After graduating from Suffolk Community College with an associate’s in AAS, William went on to receive his bachelor’s in Physical Therapy at SUNY Downstate Medical Center. William has been practicing for 38 years and is also a member of the APTA.